Top dogs. Celebrities. Palm trees. Watch out, Westminster; there’s a new dog show in town. 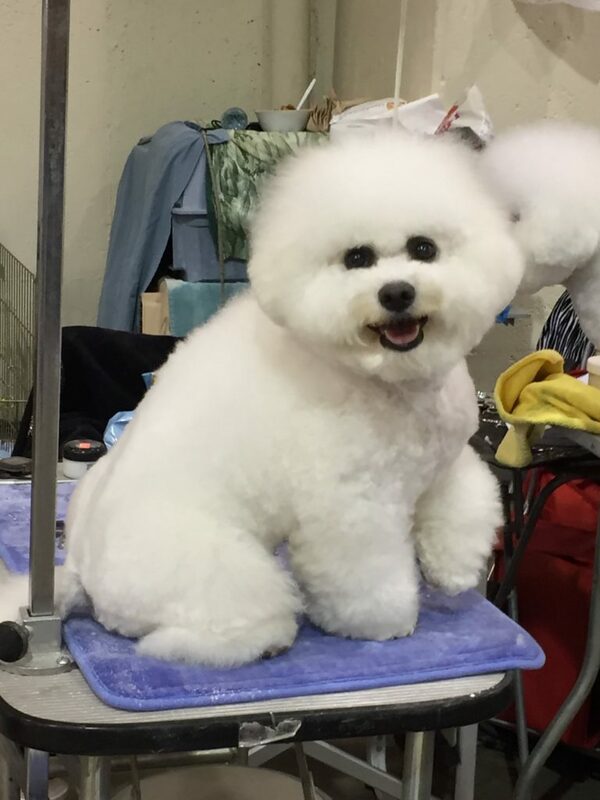 If you tune your television to the USA Network on April 16 at 8 p.m. ET/PT, you’ll catch the NBC Sports inaugural broadcast of the Beverly Hills Dog Show. The show itself isn’t a first-time event; it has been in existence since 1965 under the aegis of the Kennel Club of Beverly Hills. It has always had an air of prestige thanks to the Beverly Hills moniker, but now it has a chance to join the red-carpet crowd of must-watch dog shows. 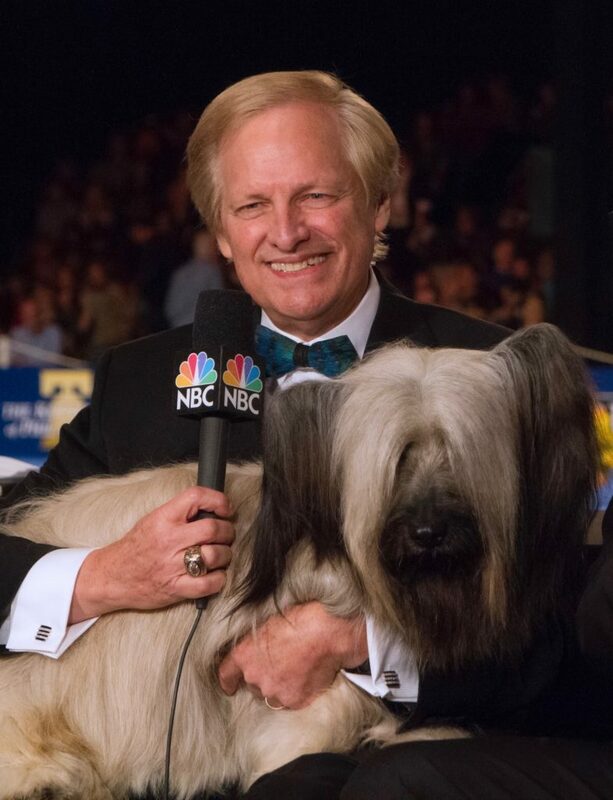 That came about when David Frei, for 27 years the voice of Westminster, left his position as director of communications for Westminster Kennel Club to join NBC as a consultant. “Let’s do another dog show, and let’s do one on the West Coast,” he proposed. The date of the KCBH show was a fit, and so was its California location. There were some years that California dogs had the most entries at Westminster or were at least second behind New York dogs. That strong showing, not to mention the great climate, made California a logical spot for a new televised dog show. Now, comparing these two shows would be like comparing, er, The Big Apple to The Big Orange. It just can’t be done, but it’s fun to take a look at the differences and highlights. Westminster is one of America’s longest-running sporting events, second only to the Kentucky Derby. In 1877, when it began, it drew crowds of 20,000. Now, thanks to the internet, viewers are worldwide and number in the millions. Streaming video of the breed judging highlights reach approximately 140 countries, a testament to the abiding popularity of dogs around the world. With a history of only 52 years, the KCBH can’t claim comparable numbers, but its attendance figures are respectable for a dog show that is being televised for the first time this year. Its entry of 1,300 dogs is likely to pull at least 2,000 in-person spectators, and possibly as many as 5,000, Frei says. Famed Madison Square Garden has been home to the Westminster Kennel Club Show since 1877 when it was known as Gilmore’s Garden. “The Garden,” as it’s known, is now on its fourth iteration, and Westminster has taken place in all of them. If you’ve attended Westminster or watched it on television, you’ve seen the silhouette of a Pointer named Sensation. It’s the logo of the Westminster Kennel Club. The members of the WKC imported Sensation from England in 1876 to add him to their breeding program. The muscular lemon-and-white dog was portrayed by a number of artists of the day, and a head study of Sensation appeared on a number of early show catalogs. In 1935, a finely detailed full-body engraving of Sensation was discovered. A foil-embossed version of that engraving now appears on the cover of the Westminster show catalog. A sculpture of a hunter and hounds, imported from France in 1925, serves as the logo of the Kennel Club of Beverly Hills. It was purchased by a Beverly Hills family in memory of their son, who was killed in World War I at the battle of Chateau Thierry. Later, the family donated the statue to the city, which placed it in Beverly Gardens Park. The KCBH adopted it as their insignia. When it comes to New York in February, it’s safe to say that the weather outside is usually frightful. At a minimum it’s cold; at worst, people and dogs fight their way through snowdrifts to get to the Garden. In Pomona? It was a pleasant 70 degrees in March, sunny and mild. Need I say more? It’s easy to spot celebrities at Westminster. Martha Stewart has Chow Chows and the late, great Mary Tyler Moore had Petit Basset Griffon Vendeens (PBGVs if you’re a member of the barkoisie). 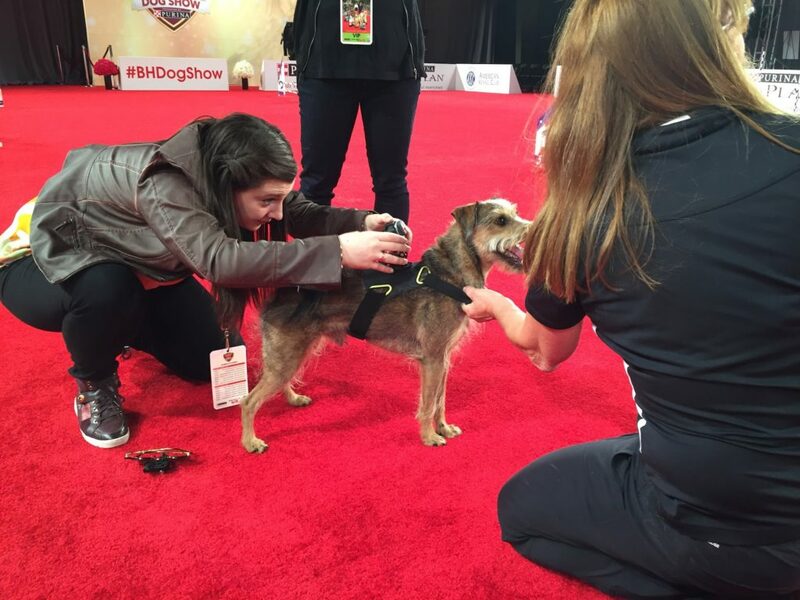 Other celebs who have been seen at Westminster include rocker Rod Stewart, actress and animal lover Betty White, dog-loving author Amy Tan, and Olympic diving great Greg Louganis, a Great Dane exhibitor and agility competitor with his Jack Russell Terrier, who served as a commentator at the 2014 show. But California is hardly shy of stars. Rex Linn, one of the stars of CSI Miami, was actually in the ring at this year’s KCBH show. He showed his French Bulldog, GCH Prefere Frank Gorshin, who earned a select dog award. Olympic figure skaters Tara Lipinski and Johnny Weir conducted red carpet interviews of competitors. Television personality Lisa Vanderpump—of Real Housewives of Beverly Hills and Vanderpump Rules—was noted at the runway-style Best In Show competition. And the show itself was hosted by actor, author, Broadway star and Beverly Hills resident John O’Hurley. Last but not least: the dogs. Westminster stands out for being one of the rare “benched” shows, meaning the dogs are on display at an exhibit area when they’re not in the ring. The KCBH show isn’t benched, but a large grooming area gives spectators a chance to see many different breeds as they get prepped for their moment in the sun.